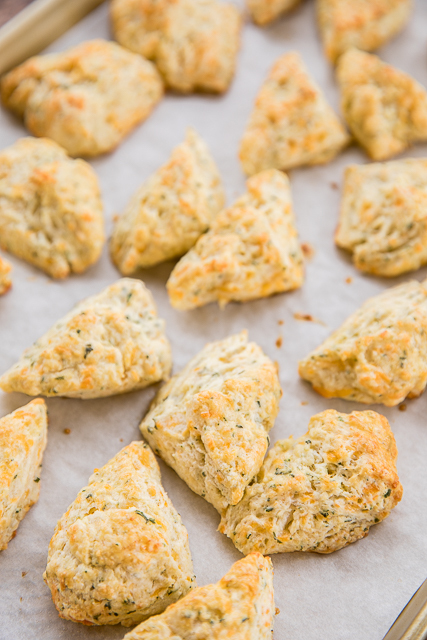 These Mini Cheddar Scones are a new favorite in our house. We've been eating them with soups, stews and casseroles for the past few months. They are dangerously delicious!! I can't stop eating them. These little biscuits are SO good!!! They are even good reheated. 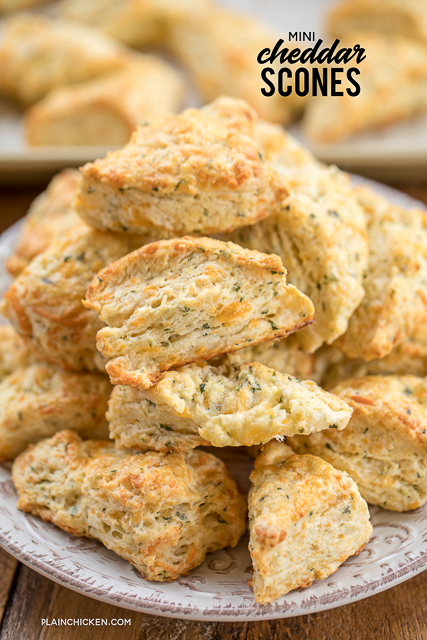 The best part about these Mini Cheddar Scones is they are really easy to make. I am always intimidated by biscuit and scone recipes where I have to cut in the butter. I don't know why, it is actually really easy! I used a pastry blender, but a fork will work just as well. 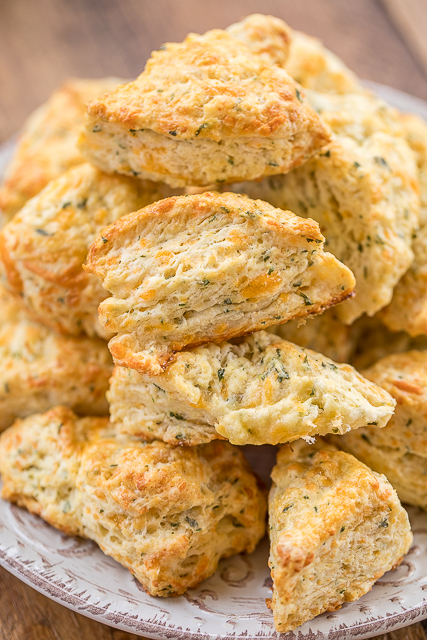 We are totally addicted to these easy Mini Cheddar Scones. I love how easy they are to make and they go wonderfully with everything! Can't wait to whip up another batch tonight. Give these a try ASAP!! I promise you won't be disappointed! Whisk together flour, baking powder, salt, and baking soda. Cut in butter with a pastry blender until pea-sized. Stir in Cheddar and parsley. Add buttermilk and 2 Tbsp water; knead gently just until combined. Turn dough onto a lightly floured surface and pat into an 8-inch square. Cut dough into 2-inch squares, then cut squares into triangles. Place scones on prepared baking sheet. 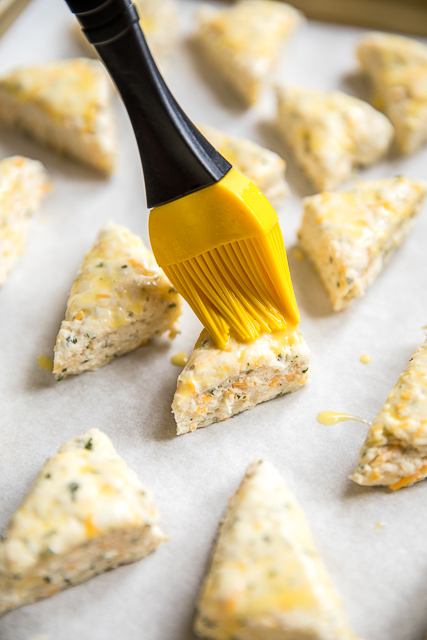 Whisk together egg and remaining tablespoon water; brush over tops of scones. 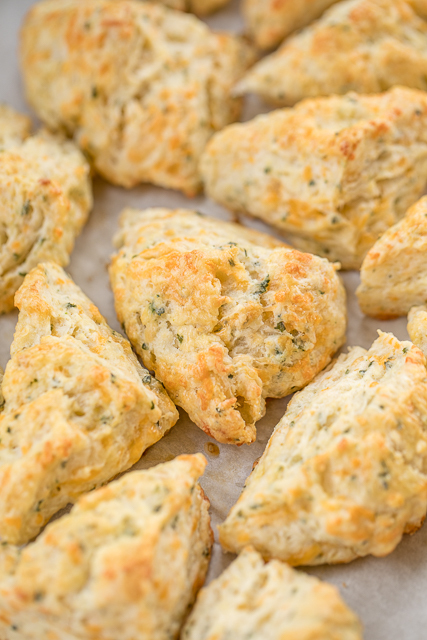 Bake scones until golden, about 25 minutes.